Errol Spence bounced into the ring in AT&T Stadium in Arlington, Texas, to headline his first pay-per-view. He did so before a crowd of over 47,000, accompanied by a rapper (a nod to his community), and wearing green, white, and red (a nod to his opponent’s); “The Truth,” Spence’s moniker but also his marker—that declaration of legitimacy meant to distance him from his peers—was emblazoned on his vest. The shy grin and sleepy lids, a physiognomy in perfect complement to his southern drawl, his southern charms—the eminently likable Spence wore these, too. 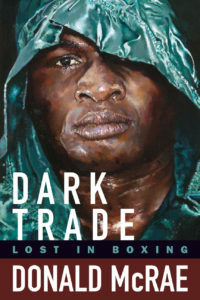 He entered the ring as one of the two best welterweights in the world. And he left it the same way, after relieving Mikey Garcia of his unbeaten record by a unanimous decision whose scores are academic and uninteresting. Nothing about Spence’s performance Saturday is likely to embolden his Premier Boxing Companions into reckoning with him. That well-compensated and seasoned bunch knows too well that the remuneration for a stern challenge hardly exceeds that of two or three middling ones, and they plot their careers accordingly. (Spence also understands this simple calculation, though he seems less enamored by its efficacy). It should come as no surprise then that forty-year-old Manny Pacquiao was conveniently ringside to later hint at the biggest in-house event Al Haymon can deliver Spence—short of convincing Floyd Mayweather Jr. to unretire to be an underdog. All of the talent he has at welterweight and Haymon is using a lightweight and a man in his forties to build Spence. An indictment of Haymon’s welterweights, that, and a lesson in how not to dangle a carrot. This is not to say that Spence, 25-0 (21), was otherworldly—there was hardly a memorable moment in the twelve rounds he and Garcia shared. You will find arguments to the contrary, though, and it is worth considering them. For some, Spence proved himself anew as a fighter. He worked intelligently behind his jab and revealed a tactical dominance to rival his physical one. 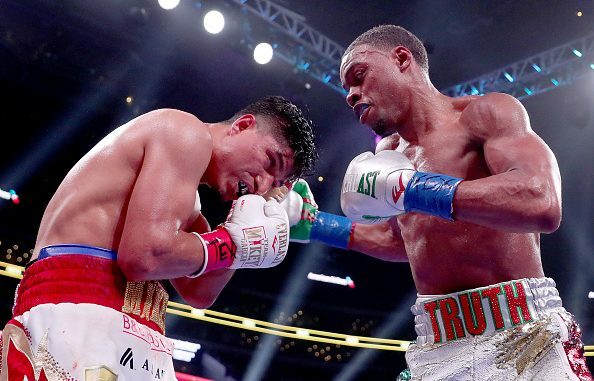 By the third round, Spence had Garcia solved; it was here that he stopped retreating to distance, and pivoted, instead, to stay on the attack. When Garcia denied him a clean look, Spence simply pried him open with the jab before varying where and how he threw his left hand. Jabbed compliant, slugged halting, Garcia, 39-1 (30), took his stool after the fifth round at a loss for how to disquiet the man who had already bloodied his nose and scuffed his face. There is, then, so the logic goes, a level of intelligence to Spence’s craft that had gone under-appreciated perhaps for being underused. And that intelligence warrants mention because of the tactical diversity and ring IQ of his de facto nemesis, Terence Crawford. Even though he revealed this heightened quality at the expense of a smaller, inferior fighter, Spence is a better boxer than his reputation encouraged, and if it is excellence as much as violence that draws you to a blood sport, the DeSoto, Texas, fighter remains your man. That, however, is not the only revision his reputation might warrant. Because Garcia, who partially unified the lightweight division in his last fight, heard the final bell on Saturday—and Spence was content to let him. If he chose to box Garcia, finding his higher gears just enough to make painfully obvious his utter superiority occasionally, Spence is not quite the revelation he appeared to be. There is nothing particularly endearing about the faux mercy of carrying a fighter rather than working to put him away, nothing particularly “Man Down” (Spence’s self-styled slogan) about failing to down a smaller man for having the temerity to think he could beat you. “The game is to be smart; sweet science”: these were Spence’s words in describing his first decision win in almost six years; you would be excused for thinking they were Floyd Mayweather’s. Not quite an anti-Mayweather, Spence is still the PBC fighter most likely to successfully use “Pretty Boy” rather than “Money” as the model for his own career. His carrying Garcia in the highest profile fight of his career, though, his allowing that significant event to devolve into mere exercise, is a little off-putting. It isn’t as damning as Spence needing the judges because he was unable to put away a lesser man, but the complacency in the former, the lack of fire and obligation to the moment is disappointing. Yes, Garcia is elite, he showed real toughness the handful of times Spence turned up the pressure; but Spence knew how to hit Garcia, did so enough that Garcia’s older brother and trainer, Robert, considered stopping the fight—and thereafter gave neither Garcia cause for escape. This is the very choreography we tired of years ago, the choreography we felt liberated from in 2015 when the best fighter in the world retired. For some, that—not Spence’s dominance, not Garcia’s toughness, not the number of people in the seats nor the number of pay-per-view buys—will be the lasting image of the night. The least compelling, least memorable outcome delivered in a moment begging to become a meme. The fight for welterweight supremacy remains Spence–Crawford, as it will after Crawford unmakes Amir Khan next month. Because Spence and Crawford are inextricably linked until one separates himself from the other—at the expense of the other—it was impossible to watch Saturday’s main event and not wonder what Crawford would have done to Garcia, what he’d have risked manifesting his cruel intentions. And it is no more possible to pretend that answer doesn’t hint at who the division’s coming ruler is.